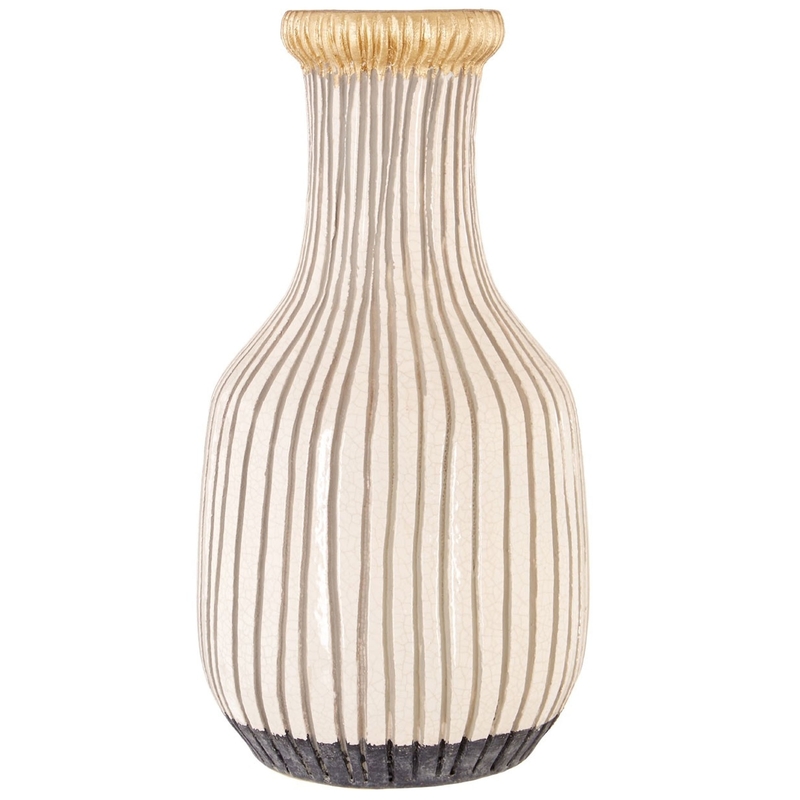 We are very proud to introduce this stylish Complements Large Vero Vase. This vase has a gorgeous design that looks very unique and eye-catching, as well as looking very homely. The dark bottom leads to a white colour, finally leading into a golden top. The contrast of colours makes this piece look very eye-catching as well as very interesting.